Square Cow Movers Charlotte, moving company, listed under "Moving Companies" category, is located at 8100 South Boulevard Suite #4000 Charlotte NC, 28273 and can be reached by 7049360288 phone number. Square Cow Movers Charlotte has currently 0 reviews. 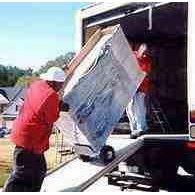 Browse all Moving Companies in Charlotte NC. Discover census data for Charlotte, NC.